In the niche community of conservative university faculty and tradition-minded public commentators, the “National Review type” intellectuals that Donald Trump caricatures, a provocative thesis has emerged: that the American project in liberal democracy is a failure. Drawing on what they perceive to be a generational degradation in public morals and civic virtue, they declare that the ordered liberty of the founding – one restrained by Washington’s “indispensable supports” of “religion and morality” – has been exchanged for a libertinism that pervades the culture and everywhere separates it from meaningful civic attachments such as church and family. Without local, personal civic associations to address the needs and temper the passions of the flagrantly individualist American, he is left isolated, and demands an ever-ballooning administrative state to manage and create order out of his troubled and lonely society. Alexis De Tocqueville was precisely foreknowing, the thesis says, in his fear that liberal democracy, with its ideals of equality and freedom to pursue a self-defined version of fulfillment, would remove virtue from its pedestal and undermine its own goal of individual flourishing, through an expansive state that monopolizes societal power in an attempt to manage the freedom that society loses the ability to manage on its own. The advocates of this new academic thesis draw on Patrick Deneen, a Notre Dame political theorist, as their flagship thinker. 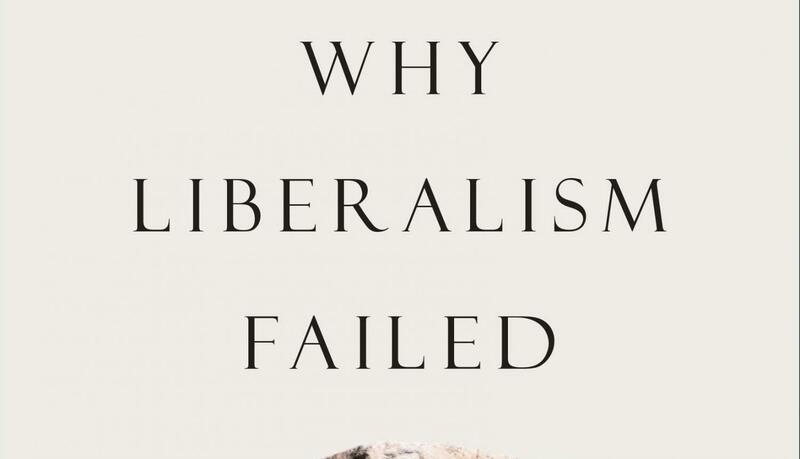 His book Why Liberalism Failed, published this January by the Yale University Press, details the complex, spanning, and largely intangible problem of a free state without its social supports, and boldly condemns American liberal democracy itself as the malefactor which has produced the deadly defect. While Deneen and his peers, from places in the political intelligentsia as established as The Ivy League and as particular as First Things magazine, display an incredible dexterity in understanding and expressing the problems of the political culture, their offered solutions for the crisis are far less compelling. Deneen proposes that we respond to the failed political order by re-adopting the communal values that he sees as tragically lost. In the author’s vision, Americans become the republican yeoman farmers of the Jacksonian era: each family with its land, neighborly associations, family-managed education, and self – and community – reliance intact. The mess of modern liberalism with its administrative state is dispelled and free society gets a fresh start. With an even less appealing proposal is Adrian Vermeule, a professor of constitutional law at Harvard, who in his firm religious conviction proposes that believing Christians, once the demographic at the foundation of political society in America, retreat from political allegiance and embrace the fact that liberal democracy is no longer their ally. “(D)riven by an internal mechanism that causes ever more radical demands for political conformism,” Vermeule writes, the liberal political culture has become so toxic and hostile to public Christian life that the Christian duty is to abandon attachment to it. What is to be made of this bookish, lofty, seemingly unimportant talk? Even if you doubt that changing cultural mores are a true problem, or you doubt that they are exhibits in a long-running, Tocqueville-predicted downfall of liberal democracy, you must still recognize that liberal democracy is not America’s default mode. A free America, with limited institutions and great space for the private sphere of civil society to work, is a social construct and an undefined experiment, which we must choose in each generation to build upon or detract from. We can devolve into fascism, communism, or some new form of life altogether, or we can persist in the path that we are currently on. To discern between paths, and to recognize the fault lines that we must repair in our society, we must pay an ear to the voices that, today, are losing faith in freedom.